Cardboard Trash Containers are Low Cost, Great for large or small outdoor events, Disposable & Recycle friendly. Also, we will ship them anywhere in the continental U.S. for FREE. 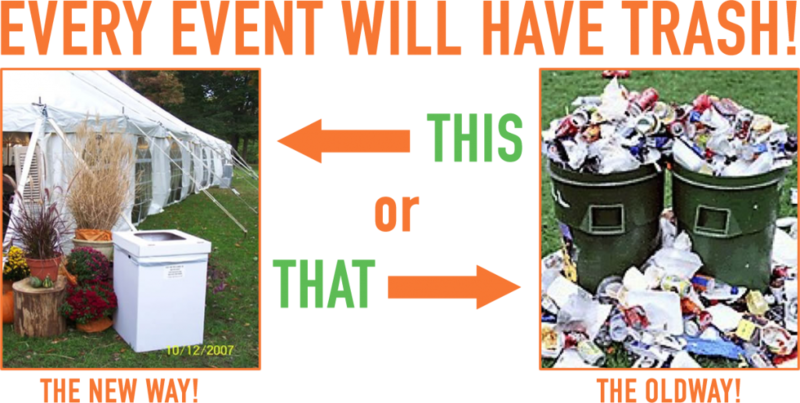 Every event has trash. How you take care of it is up to you. We can help! Click here to see our products. We developed our product 22 years ago. 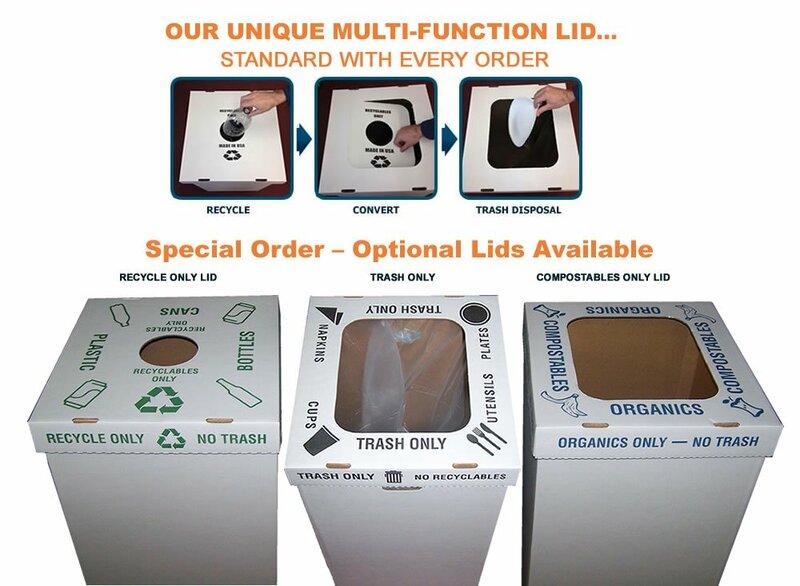 The TTC System is a disposable and recycle friendly trash container that includes an optional “multi-function” lid and/or optional 55-gallon liner bag. Containers are plain and can be CUSTOMIZED with your company or event identification. Available in white or black.